With Luke Cage’s very own Netflix series dropping today, the third hero (fourth season) in Marvel’s Netflix Defenders, it’s never been a better time to start exploring Luke Cage comics. The first season of Cage’s first live-action solo series is being pitched as The Wire set in the Marvel Universe, which is both delightfully ambitious and absurdly overconfident. Brian Michael Bendis gets a lot of deserved flak these days (what’s up Civil War 2! ), but I’d argue he doesn’t get enough credit for reviving Luke Cage, first during Alias , and more prominently during New Avengers. While Alias is predominantly the story of Jessica Jones, her romantic involvement with Luke Cage helps make the case for Cage as one of the better supporting heroes in the Marvel Comics universe. Bendis wasn’t content to let Cage linger on the fringes, though, and made the once and future Power Man a central throughline in Marvel’s core Avengers title. It’s easy to forget now, but this was met by a lot of “Luke Who?” and “Wait, Marvel has a superhero just named Luke?” Now Luke Cage is a consistent presence in major Marvel events. This all traces back to New Avengers. In terms of reading New Avengers, I recommend you follow my reading order, as New Avengers is deeply ingrained in Marvel continuity at large, and won’t make a ton of sense without context. To get the true origins and early days of Luke Cage, you’ll want to check out Hero for Hire #1 to #12, Amazing Spider-Man #123, and Fantastic Four #168 to #170. 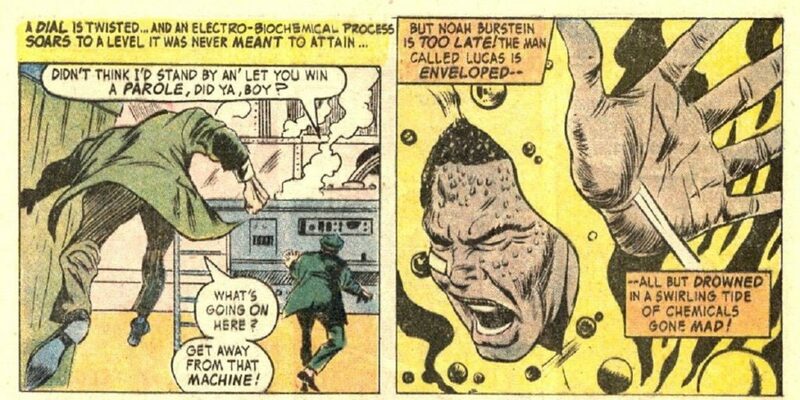 These issues mark the origins of Cage, the heralded Hero for Hire #9 in which Cage travels to Latveria to collect money from Doctor Doom, that time Luke Cage was hired to capture Spider-Man after the worst loss of Spidey’s life, and that time Luke fought and joined the Fantastic Four. No Luke Cage reading list is complete without Marvel’s finest buddy team-up between Luke Cage and Danny Rand (aka Iron Fist). You can start out in the legendary hands of creators Chris Claremont and John Byrne with Power Man #48 to #49 followed by Power Man & Iron Fist #50 to #70. Following Marvel’s Siege, Luke Cage heads up the Thunderbolts, a ragtag team of former supervillains. It’s an underrated run as the hero with a criminal record gives villains a shot at heroic redemption. Cage’s run as Thunderbolts head begins with Thunderbolts #144 through Thunderbolts #168. Outside Marvel Earth-616 continuity proper, Luke Cage’s “Noir” title is one of the best “Noir” entries in the Marvel catalog. Fans of the Spider-Man: Shattered Dimensions video game may remember the prohibition-era noir Spider-Man, so just translate that realm of 20’s gangsters and great headwear to Luke Cage. There you have it – 5 killer reads for Luke Cage comics. Have any favorites that I missed? Need the whole Luke Cage reading order? Do what feels right to you in the comments. Great stuff as always. I picked up Hero For Hire and Power Man & Iron Fist for less than 8 bucks on Comixology. The earlier stuff makes me laugh at the slang used and the stories are a bit silly, but it is a product of its time after all.